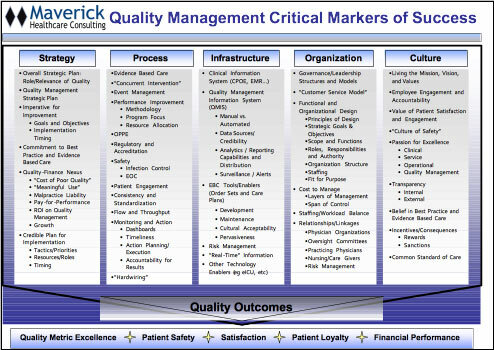 In our model, the role of Quality Management is to provide care givers with the resources and information they need to make the best decisions at the point of care, across the full continuum of care. In order to successfully improve healthcare quality, safety and patient experience, healthcare organizations must develop a “world class” foundation that includes a number of critical components. 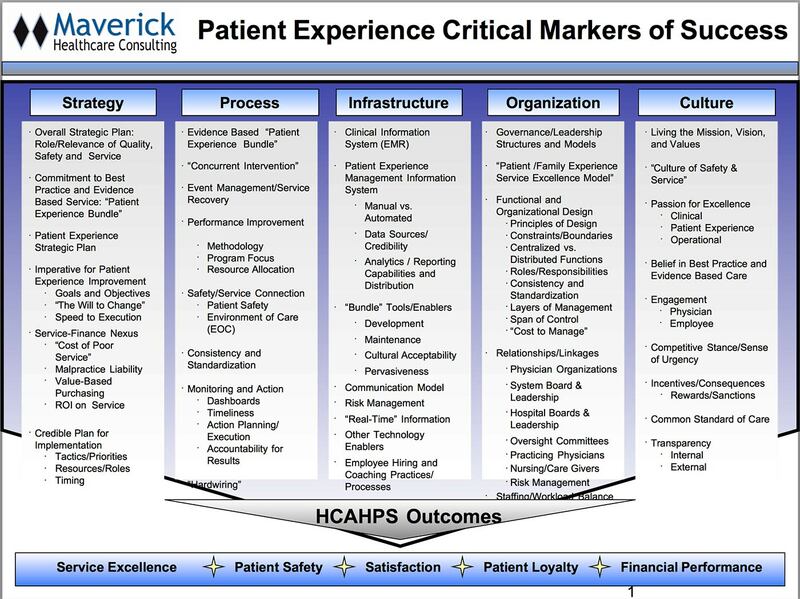 Including a clear linkage of quality and patient safety to the organizational strategy and a Board-driven imperative to achieve quality goals. Including “Concurrent Intervention,” the ability to identify key quality performance “gaps,” and performance improvement tools and methodologies to effectively eliminate quality issues. Incorporating effective Quality Management technology, EMR and physician order entry, evidence-based care development tools and methodologies, and quality performance metrics and monitoring technology that enables “real time” information. Where a passion for Quality and Patient Safety is embedded throughout the delivery system and leaders are incented to achieve aggressive quality improvement goals. 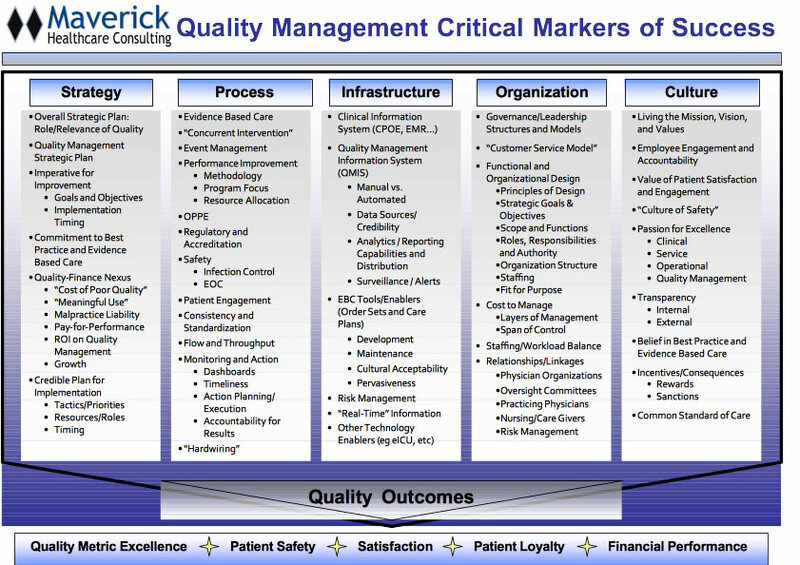 Maverick Healthcare Consulting focuses on assisting healthcare organizations to identify and fill “gaps” in these critical Quality Management success factors. We specialize in assisting healthcare organizations to assess how they stack up against these “critical markers,” and to organize Strategic Work Groups (SWiGs) to design, implement and monitor and refine solutions to fill your organization’s “gaps”, thereby improving healthcare quality.